Nene Leakes’ troubled son has landed himself in hot water again. This time from a woman who claims to be his baby’s mother. Apparently, Bryson Bryant fathered a child with a woman by the name of Symone Davis. The baby boy is now a 1-year-old. Symone contacted Radar Online to out Bryson for not taking care of his son. “He’s been dodging me left and right every time I’ve tried to have him served with papers to pay child support for our son, It’s just pathetic. He doesn’t have a stable home and jumps from place to place since NeNe kicked him out, and it’s costing me time and money trying to have him served,” Davis explains. That’s not the worst of it, the 27-year-old says that her baby’s father spends all the money that he earns on serious drugs. “He’s on cocaine and that’s where all his money goes. He gets a job for two weeks, and when he gets his check it all goes to the dope man. Then he gets another job and does the same thing. This is his cycle and it’s sad because I want him in our son’s life,” she adds. The troubled man has another child that it out of the spotlight. However, fans will remember on “Real Housewives of Atlanta” that needed was a proud Glam-ma. 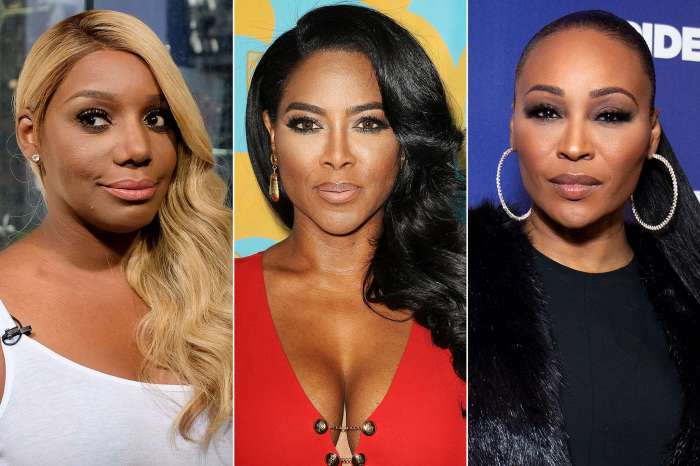 The “RHOA” star’s son has been in a string of disorder that leads back to half a decade ago when he was arrested for stealing from Walmart which Leakes addressed on the show. In 2013, Bryson was arrested for a DUI and spent time in prison for skipping mandatory classes. Later that year, he violated probation by failing a drug test in addition to not paying fines. In 2015 Bryant was arrested for Taco Bell check forgery. Last year, Radar published photos of Nene’s son surrounded by drug paraphernalia while partying with friends.